In a small, close-knit Wisconsin community, a mother goes into town and never returns. It’s 1952 and Rose, at 15, is the oldest of seven children, the youngest of whom is only 3. As hard as Rose and her father tried to keep things together on the home front, with the help of kind relatives and sympathetic neighbors, in 1954, the children were ultimately placed in an orphanage, and later split up into five different foster families. 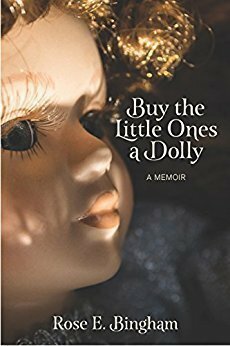 “Buy the little ones a dolly” were some of the last words Rose received from her mother in a Christmas letter, sent without a return address. Rose made it her lifelong mission to maintain contact among the siblings. Rose intimately escorts the reader on her journey through trials, tribulations, joy, and love. The mystery surrounding her mother’s disappearance comes to light 59 years later.